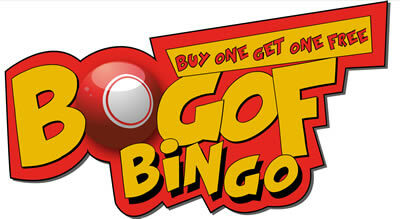 When you're in the mood for one of the best online bingo experiences ever, BOGOF Bingo is for you! Look at this and find out about what you may be missing out on by reading this review. For online bingo players who love their game, it's worth knowing about the buzz surrounding BOGOF that makes it stand out from so many other incredible bingo websites that you can find all over the place. With the increasing level of player choice available, it makes sense for a gaming portal to do whatever it takes to stand out and be noticed. BOGOF does that incredibly well! Competition drives the software developers to continue improving and enhancing the games. Companies improve their customer's experience by providing attractive incentives, appealing promotions and lucrative offers and bonuses. It needs a very special site to really stand out from that ompetition. BOGOF Bingo does that very well! There's a fantastic selection of exciting offers, year-round promotions and some of the very best money-spinning bingo games in the business right here. And if you're wondering about what kind of Welcome Bonus is on the table, take a look below to find out! If you've only just come across this portal, you might be wondering what BOGOF actually means. Well, that's easy enough. It's simply an acronym for "Buy One Get One Free!" The idea behind this idea was lifted from an already successful retail model. This is one that gets shoppers in a certain supermarket or store to buy a particular product with the offer that if they buy one, they'll be given another one for free. The way that concept has been transferred to this site is the offer that if you buy one bingo card, you'll be given one free. Who can resist getting something for FREE? I know I can't. You probably can't either! So let's dig into this site and find out what else is on offer and what makes it such an attractive place to play bingo! To get that, all you need to do is deposit and spend a minimum of £10 on bingo cards after you have registered. Below we'll look at the big favourites that attract a lot of players. Why? Because they're just so attractive! PS: You might wait for another person to tell you that you either can or you can't and believe them. Or you can listen to your own inner voice of reason and enjoy something exciting. Make your own decisions, follow your own hunches and do exactly what you want to do!